Immerse yourself in mystical Tibetan Buddhism with visits to Jokhang Temple, Sera Monastery, Norbulinka, and Potala Palace. Explore Barkhor streets in downtown Lhasa and experience lifestyle of local Tibetans. 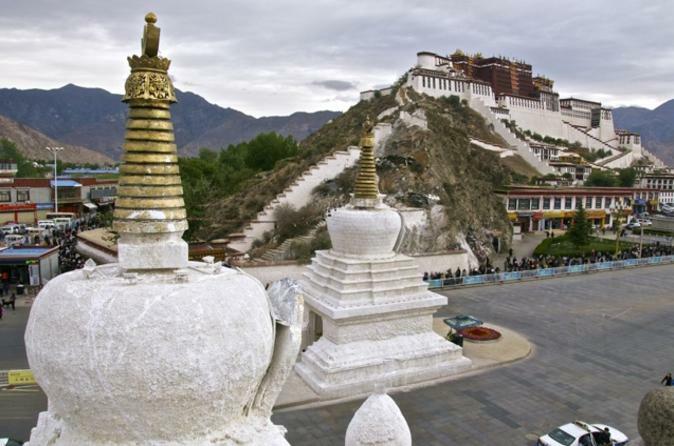 Discover Lhasa - the spiritual city of Tibet. 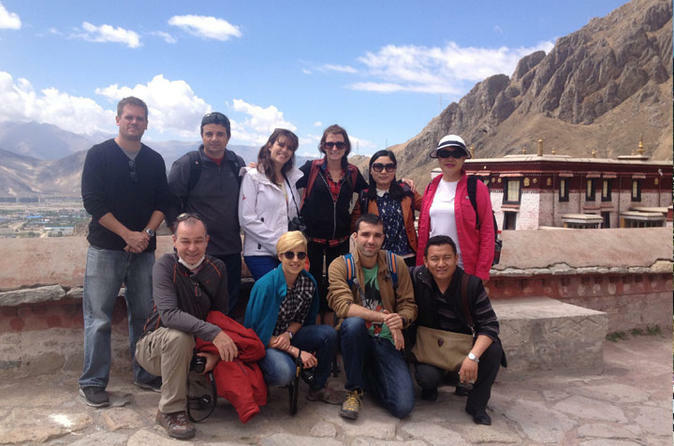 Experience spectacular Buddhist architecture, fascinating culture and authentic Tibetan food. 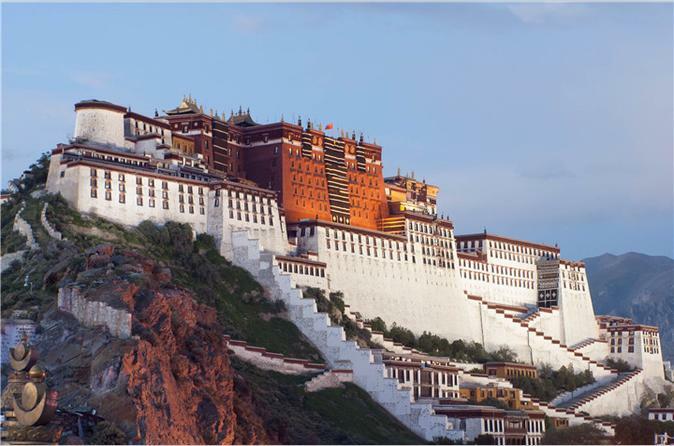 Visit Potala Palace, known as the ‘Crown Jewel of Tibet’. 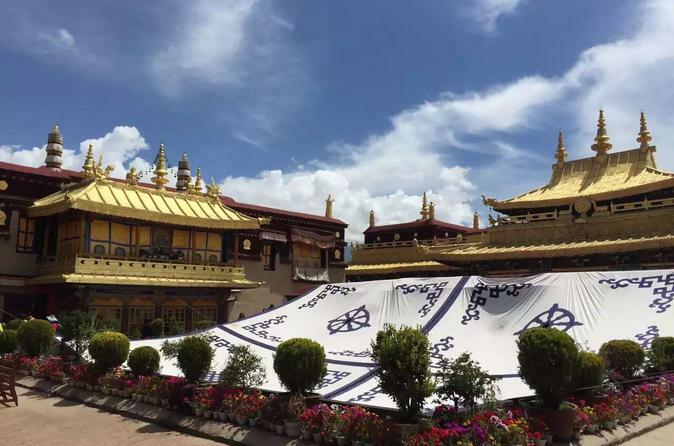 Wander through the bustling Barkor Circuit after visit Tibet’s holiest shrine of Jokhang temple, observe interesting monk debating and explore Tibetan Quarter. Everest Base Camp and Tibet Tour is an 7-Night journey that begins and ends in Lhasa with a visit to the Everest base camp. 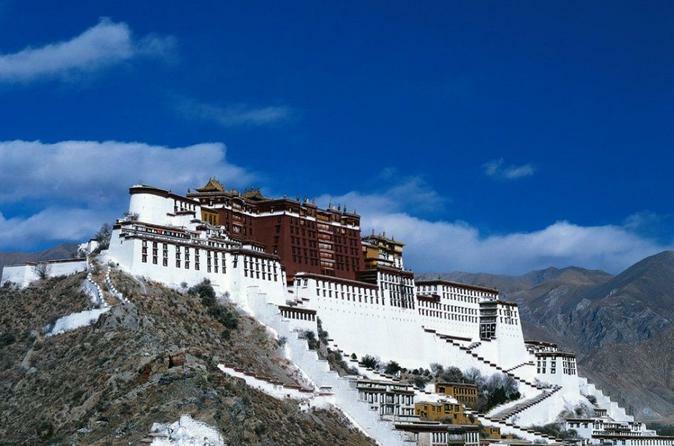 It covers the beautiful Tibetan cities and towns of Lhasa, Gyantse, Shigatse and Rongbuk. While there, you will visit popular landmarks like Dalai Lama’s Potala and Norbulingka Palaces, the Tibet Museum, Barkhor Bazaar and Gyantse Dzong. You will also cross several passes and visit the beautiful YamdrokTso Lake on our trip. Impressive Tibetan monasteries like Sera, Drepung, Jokhang Temple, Khumbum Stupa, Phalkot, Tashilhunpho, Sakya and Rongbuk are yours to admire. 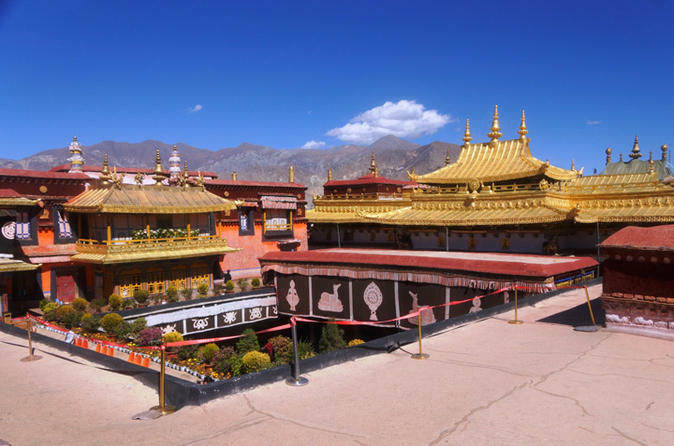 This tour covers all three world heritage sites, like the winter palace of the Dalai lama - Potala Palace, most important temple of Tibetan Buddhism - Jokhang Temple, and its surroundings - Barkhor street . You’ll visit Lhasa’s great religious institutions of Sera and Drepung. Watch the monks debate their religious interpretations and enjoy 3 nights of accommodations with this package. 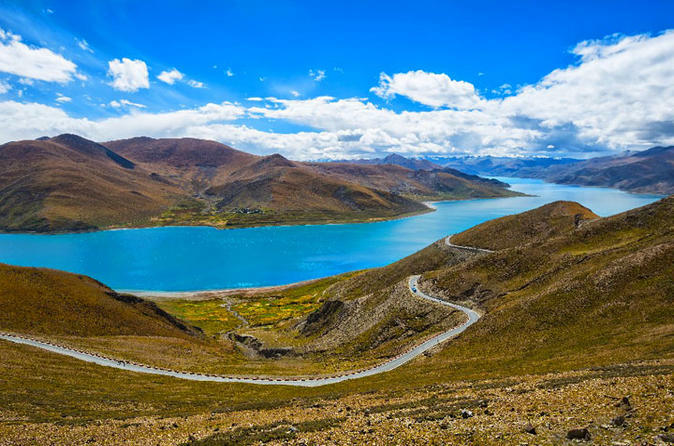 Take this 2-day trip to the most popular must-see scenic spot in Tibet, Lake Namtso. Enjoy time at the lake, known for it's high levels of salt, on your first night. The next day, pay a visit to the meditation caves as well as the Yangpachen hot spring. Enjoy this truly unique experience with your small-group of no more than 12. This is a classic multi-day tour that provides the opportunity to visit Lhasa and Everest Base camp. The tour will get you acquainted by covering all main tourist sites like Potala Palace, Jokhang Temple, Barkor street, Drepung and Sera monastery with Gyantse Kumbum and Tashi Lhunpho monastery. Tourists can also see natural scenery like the beautiful, sacred lake of Yamdrok Tso, and Karo glacier, and beautiful views of Mt. Everest, the highest mountain in the world, from Everest Base Camp. Tibet is always a dreamy place to travelers, this 4 days Lhasa highlights tour allow you to explore Tibet's profound Buddhist culture and amazing highland sceneries, seeing Lhasa’s highlights in 4 days, fulfill your lifetime Tibet dream! Enjoy a day of intermediate level mountain hiking in the northern suburbs of Lhasa and visit famous Sera Monastery to appreciate Tibetan architecture and its renowned "Monks' Debate." This private one day trekking adventure has the winning recipe that is perfect for avid hikers! Enjoy this 5-night tour that will introduce you to central Tibet and take you to the three biggest ancient cities: Lhasa, Gyantse and Shigatse. 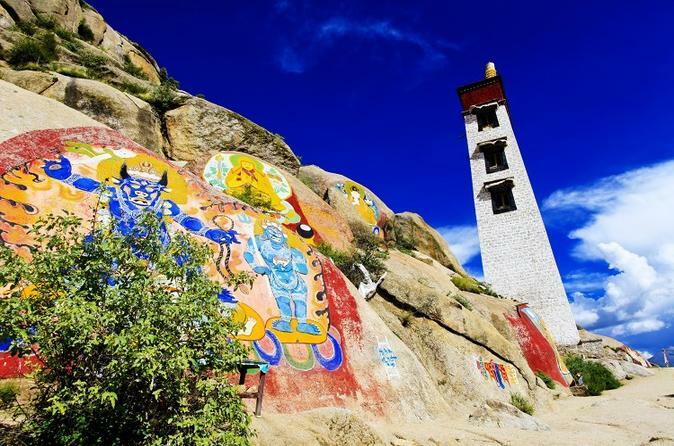 By visiting these places, you will get an overview of Tibet's religion, cultural treasures, and dream-like landscapes. The highlights of this tour will be the Tibetan architectural treasure, the Potala Palace, Jokhang and Sera, Holy Yamdrok Lake and Karo glacier as well as Tashilumpo Monastery which stores the biggest copper Buddha statue in the world. 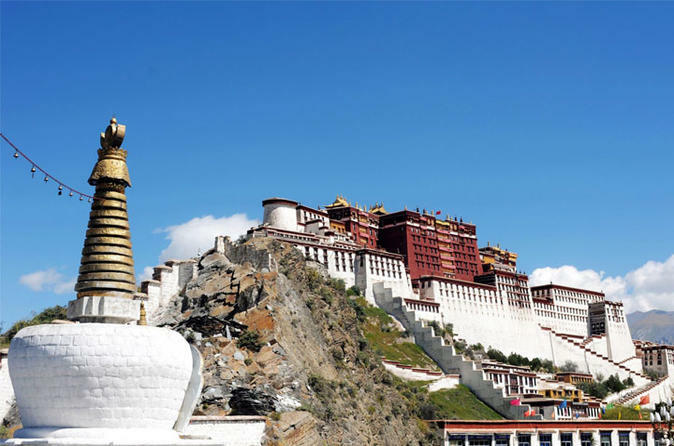 Enjoy this tour which covers the major tourist sites like the Potala Palace, Jokhang Temple, Bakor street and Sera monastery in Lhasa. 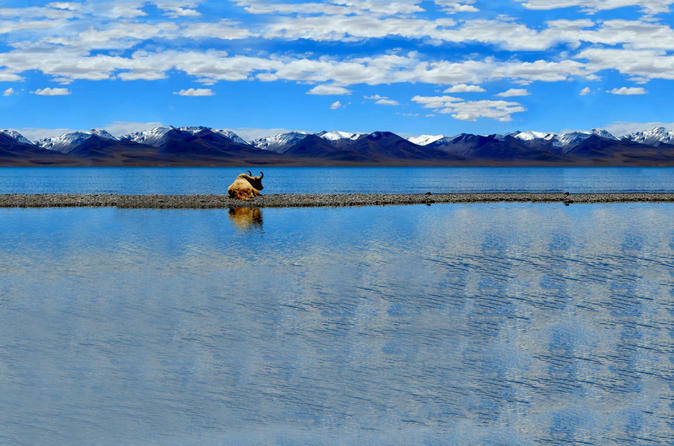 You will also be able to visit one of the four sacred lakes in Tibet - the Lake Namtso, which has an altitude of 4718m. Its stunning beauty is surrounded by magnificent views of the Nyenchen Thanglha snow-capped mountain range, which is a home to the Tibetan nomads that live in harmony with their animals and their natural environment. 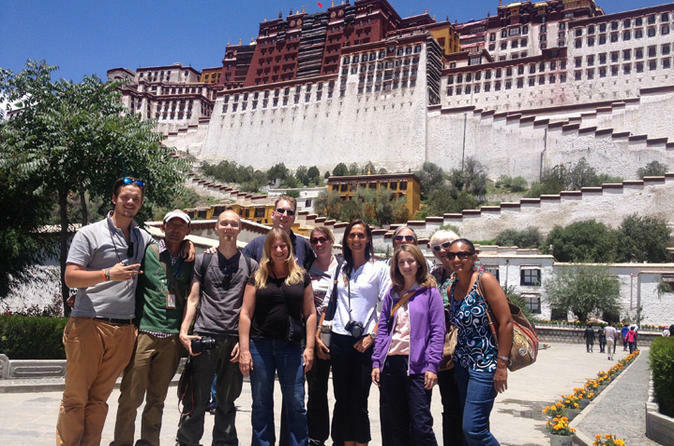 This is a special tour designed for exploration of famous holy monasteries in Lhasa, Gyantse, and Shigatse. In addition to visiting sacred attractions such as Potala Palace, Jokhang Temple, and the Great Three Gelukpa university monasteries, you will also see stunning scenery of Yamdrok Lake. 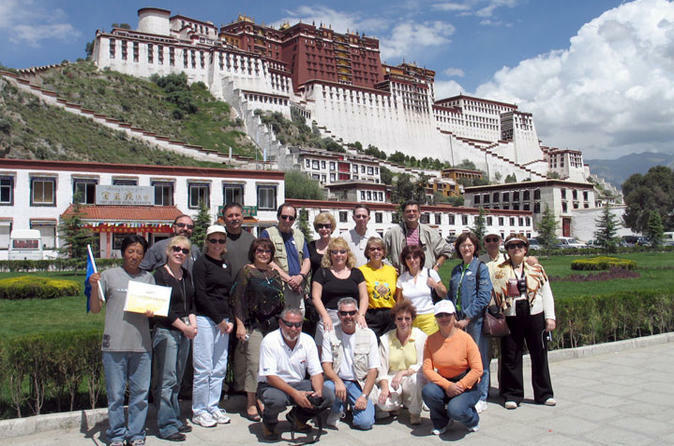 Join this small group China tour from Lhasa to Shanghai. The mysterious high plateau has accumulated and nourished Lhasa with unique Tibetan culture and scenes. Take this trip to admire the world highest ancient palace, the holy pilgrimage destination and then extend your journey to Shanghai to enjoy the most essential parts of the city such as Shanghai Museum, Yuyuan Garden and thriving Bund. 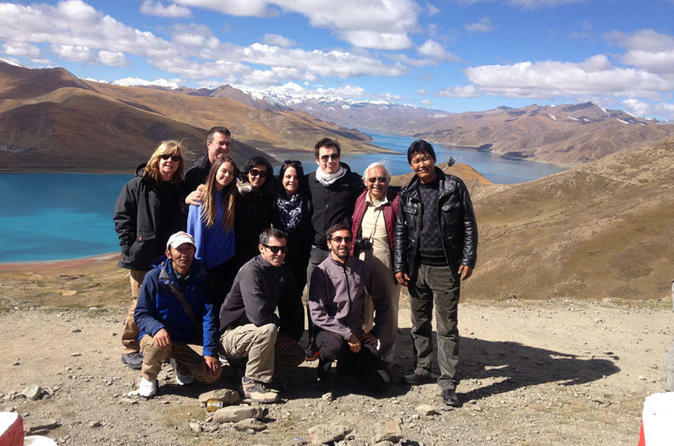 This popular 8-day quality private and all-inclusive Tibet tour with Mt. Everest Base Camp adventure will show you the best of Tibetan attractions including Potala Palace, Jokhang Temple, Barkhor Streets, Drepung and Sera Monasteries, Lake Yamdrok, Karola Glacier, Gyantse and Shigatse cities, and northern face of Mt. 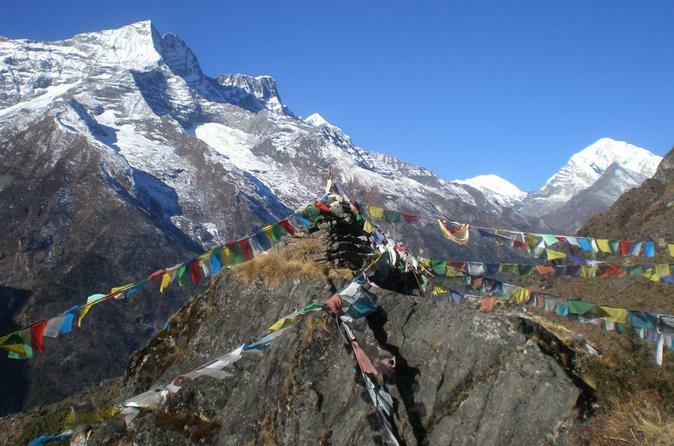 Everest Base Camp where you can admire Majestic view of Everest Peak from Tibetan land. 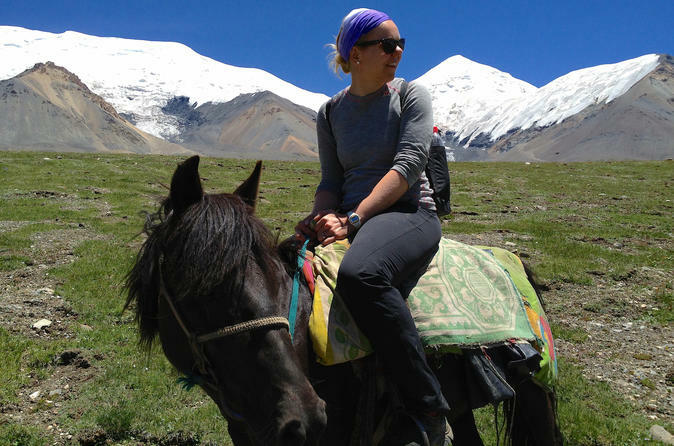 You will explore through out the Tibetan plateau in a group of no more than 10 travelers. 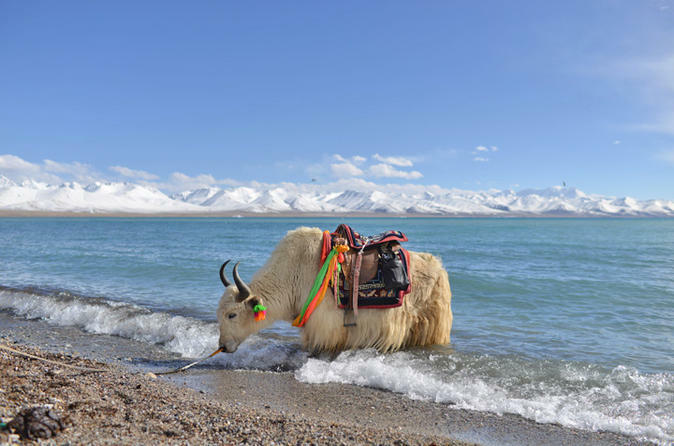 This 5-Day Private tour to Yamdrom Lake, Gyangtse, and Shigatse in Tibet will allow you to explore the Tibetan culture and daily life in depth. The once-in-the-life experience comes complete with 3 or 4 star accommodations and activities such as a visit to the Tashilumpo monastery. At the end of your trip, you will be transferred to the Lhasa Gonggar Airport for your flight back home. 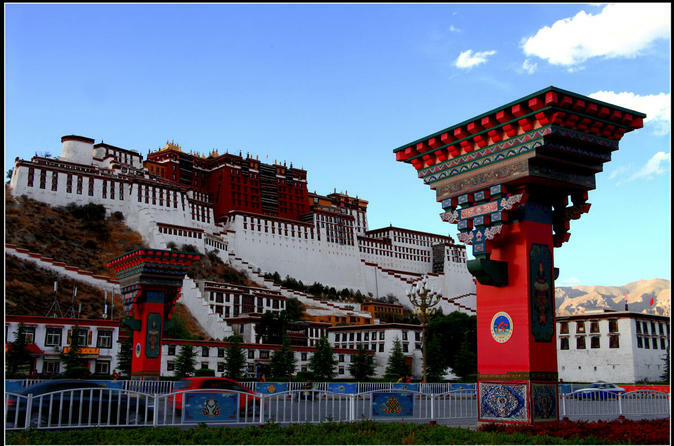 Fly round-trip from Chengdu to Lhasa to visit UNESCO World Heritage sites and other Tibetan landmarks on a 4-day tour with a knowledgeable private guide. Tour Potala Palace, Jokhang Temple Monastery and Norbulingka Palace, all important locations for the Dalai Lamas of Tibet. 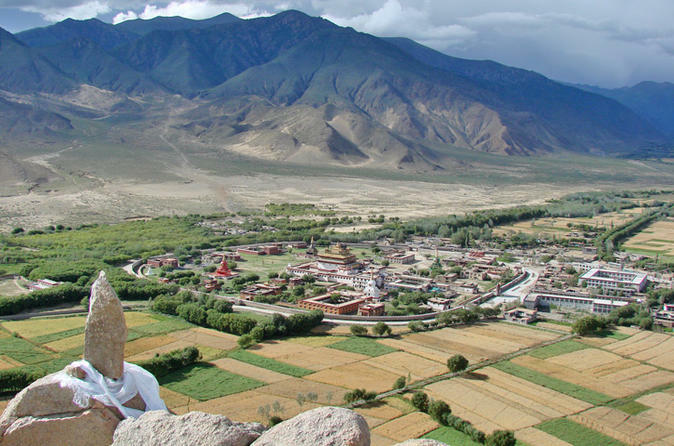 Enjoy the timeless atmosphere of Barkhor Street, and travel outside the city to Sera Monastery and Drepung Monastery. Your local guide handles your Tibet travel permit and shares valuable insight into Tibetan culture throughout this all-inclusive tour. 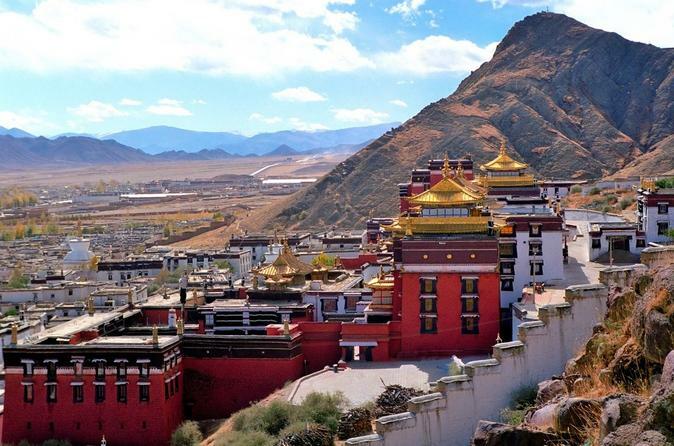 Enjoy this multi-day tour, which covers the historical sites like The Potala palace, Jokhang Temple and Bakor street and the three major monasteries in Tibet: Drepung Monastery, Sera monastery and Ganden Monastery. Apart from that you will have the opportunity to trek Lingkor (circle) and you see the Great Tsongkapa’s meditation cave. Visit two of the three biggest cities in Tibet, Gyantse and Shigatse, over the course of 2 days. While accompanied by a professional guide and your small-group of no more than 12, you will discover the history behind these great cities. See Tashi Lhunpo Monastery and the Pelkor Monastery as you take pictures that'll hold your memories of this unique excursion. Visit the top 3 highlighted attractions of Potala Palace, Jokhang Temple and Barkhor street in the capital of Lhasa with local Tibetan guide. During this 8-hour downtown walking tour, travelers will visit the UNESCO World Heritage Site of Potala Palace, the landmark of the capital. Visitors can enjoy a window into the past as they walk where Dalai Lamas and Tibetan kings have walked. The Jokhang Temple, another UNESCO World Heritage site is the epicenter of Tibetan Buddhism. Further more enjoy the leisured walking tour around Barkhor Street, the vibrant street where hundreds of thousands of pilgrims perform worship. 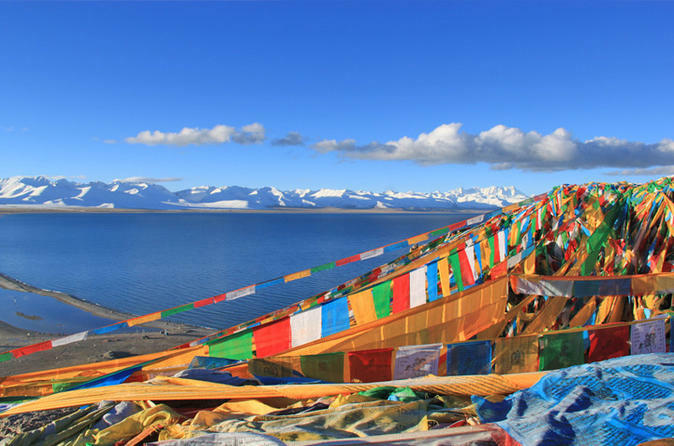 Getting to know the sacred and solemn Tibet by visiting the holiest and sacred monasteries in Lhasa and also appreciate the extraordinary beautiful Namtso Lake. This group tour is available from April to October with fixed Departed Days. Note: Your local tour operator will apply for a TTP for you (minimum 15 days lead time) and send it to one of the local offices for you to collect. Office locations include Beijing, Shanghai, Xian, Guilin, Chengdu, Kunming, Guangzhou, Shenzhen, Hong Kong, Zhuhai, Changsha, Nanning and Macau. Please advise which city office is convenient for you upon booking. 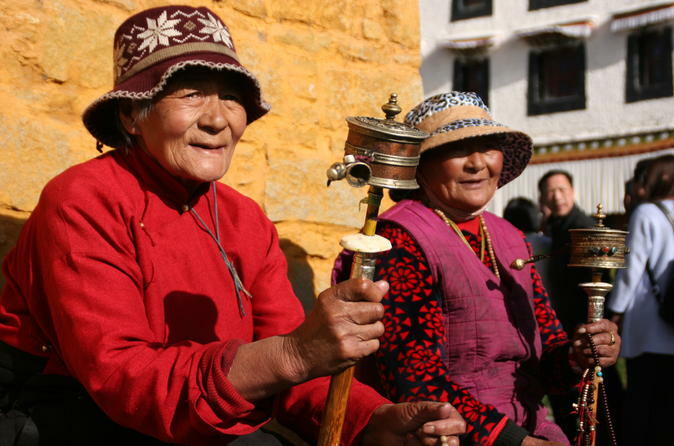 This excellent sacred and solemn tour brings you to explore the unique religious culture and life of Tibetan at the most popular monasteries in Lhasa and Shigatse. Also you will be excited by the delighted sightseeing of Mt. Everest. The minimum group size is 2 people, and the max group size is up to 12 people. Explore the Samye Monastery, the first Buddhist monastery built in Tibet, on this guided, full-day tour from Lhasa. Famous for its sacred mandalalike design, the Samye Monastery combines Chinese, Tibetan, and Indian architectural styles. The central hall symbolizes the legendary Mt. Meru and the center of the universe. All entrance fees, plus a Lhasa hotel pickup and drop-off, is included. 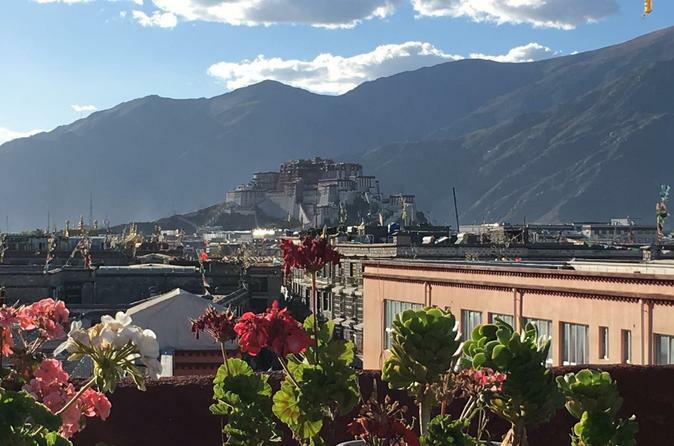 Capture the highlights of magical Lhasa in just one day on this 8-hour guided tour of the UNESCO World Heritage Site around Potala Palace. Visit the towering palace itself, the Jokhang Temple, the epicenter of Tibetan Buddhism, and Barkhor Street, the vibrant street where pilgrims perform worship. In need of a new travel experience to brag about? 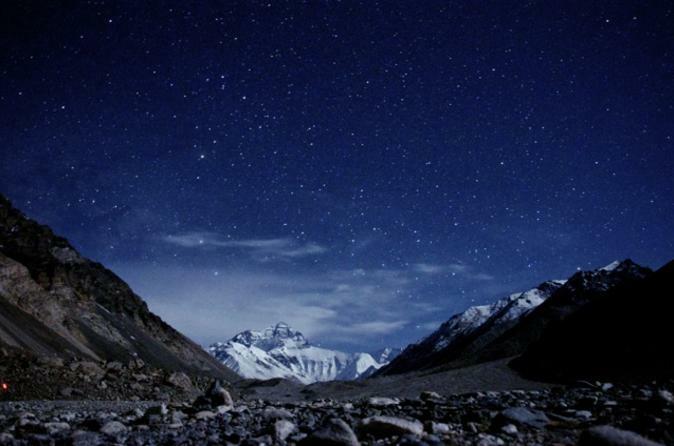 How about watching dawn break over Mt Everest? That's just one of many unforgettable sights you'll see during this 8-day tour of Tibet from Chengdu. With a private guide, visit temples and other renowned cultural sites in Lhasa, Gyantse and Shigatse, including Potala Palace, Sera Monastery, Barkhor Street and the Gyantse Kumbum. 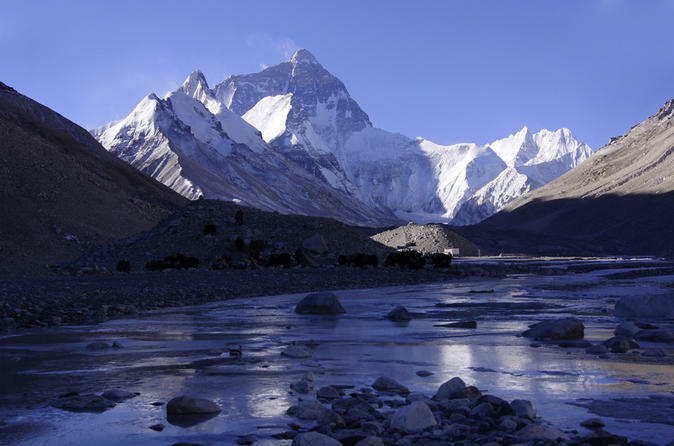 You'll also see natural wonders like Yamdrok Lake and cross Gyatso-la Pass to reach Tingri, your base for a morning expedition to Everest Base Camp. Accommodation, round-trip flight, meals, a private vehicle and driver, entrance fees and Tibet travel permit are included.